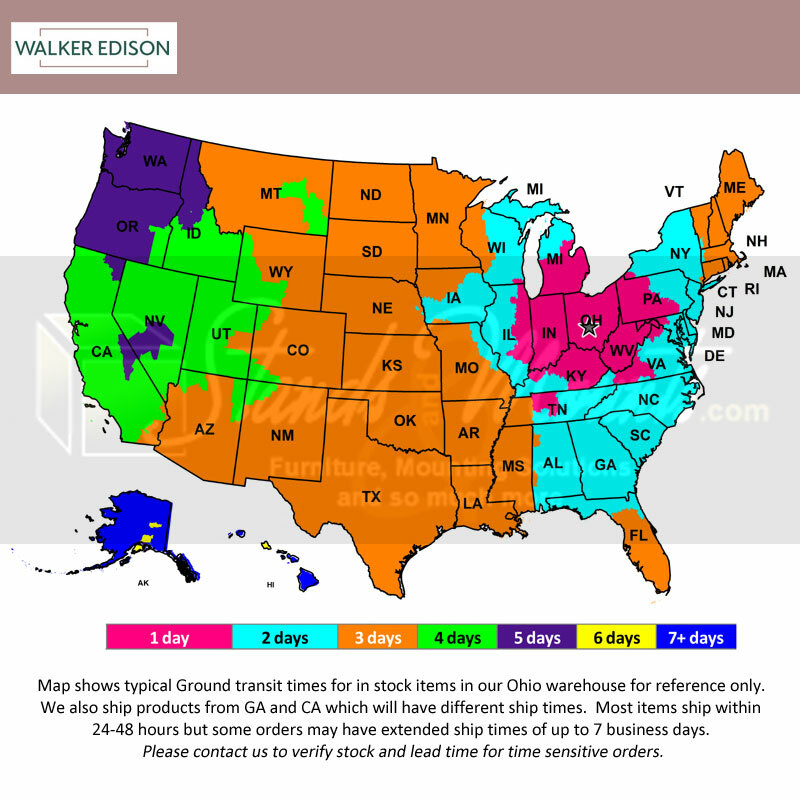 More on the Walker Edison Highboy 48 in. 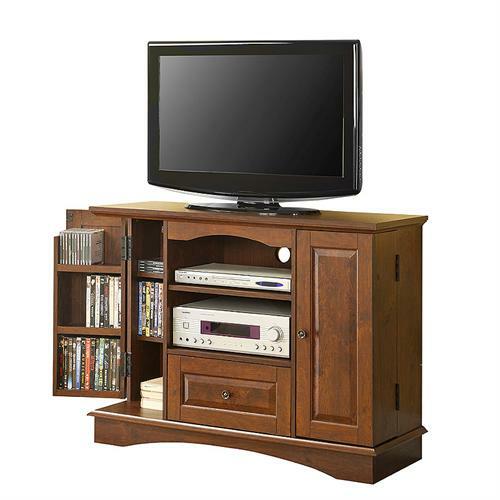 TV Console with Media Storage (Traditional Brown) WQ42BC3TB below. With its added height, this sturdy, wood TV console is an ideal piece for the bedroom or living room. 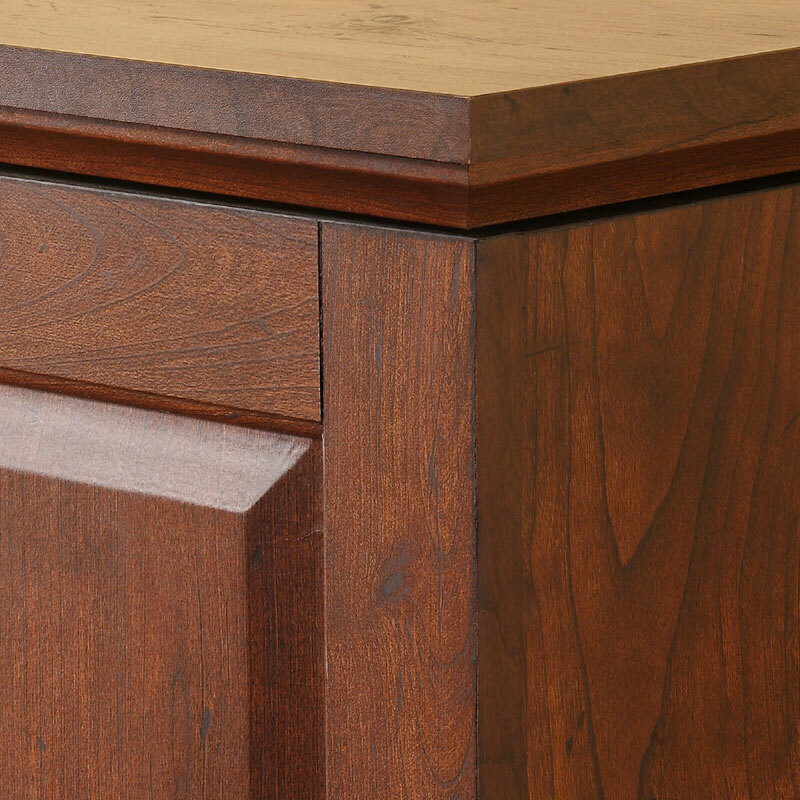 The elegant beveled panels and rich brown finish give a traditional feel. 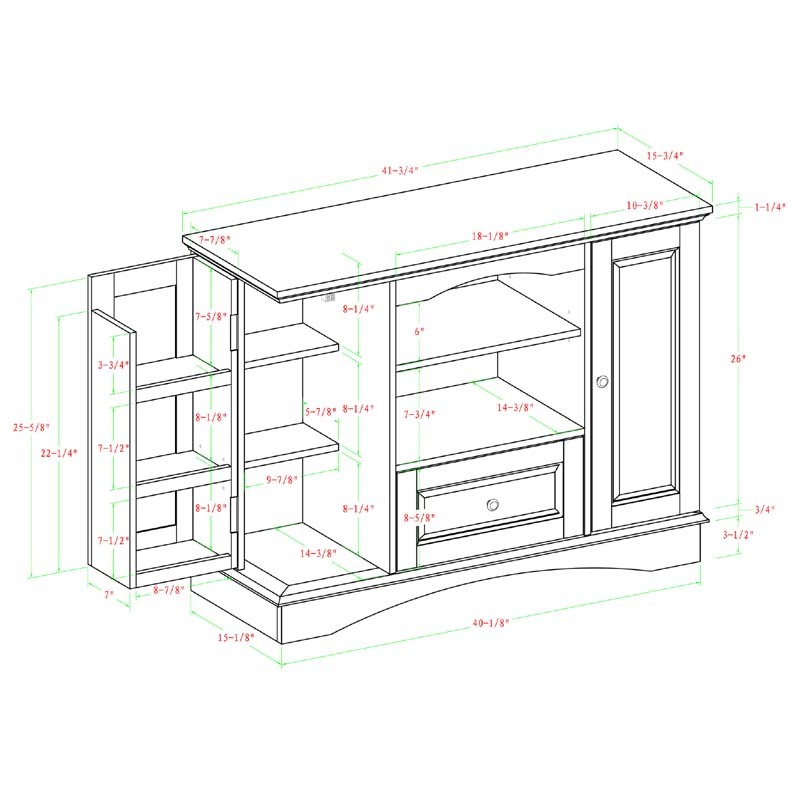 Crafted from high-grade MDF and durable laminate construction, this stand will accommodate most TVs up to 48 inches. 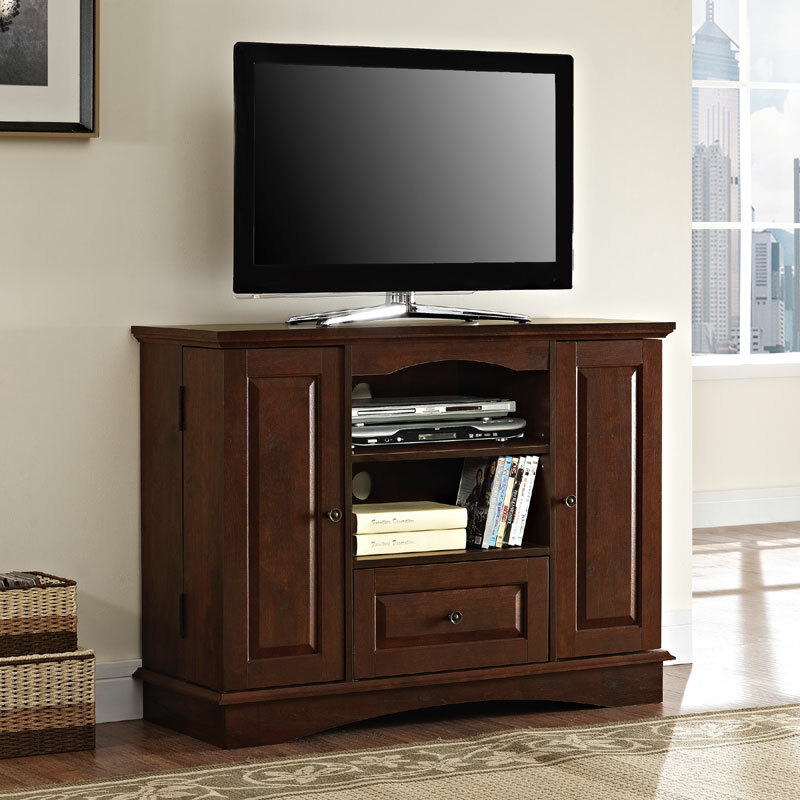 The drawer, adjustable shelves, and extra door storage provide ample room for all of your entertainment needs. Door storage holds up to 200 DVD or Blu-ray discs. Available in additional finishes. See related products below.